Free Counseling for Military Families across U.S.
Give an Hour (GAH) is a nonprofit 501(c)(3) that develops national networks of volunteers who are capable and committed to responding to acute needs within our society, beginning with the mental health needs of military service members and their loved ones affected by their time of service. In addition, GAH's Campaign to Change Direction is a collective impact effort to change the culture of mental health in America. Our services reach all 50 states, including DC.,Puerto Rico and Guam. As of May 2016, there are over 23 million living veterans. Over 2.6 million have been deployed to Iraq, Afghanistan, and the Persian Gulf since September 11, 2001. In addition to the physical injuries sustained by veterans, countless servicemen and servicewomen are experiencing mental health conditions directly related to their deployment. 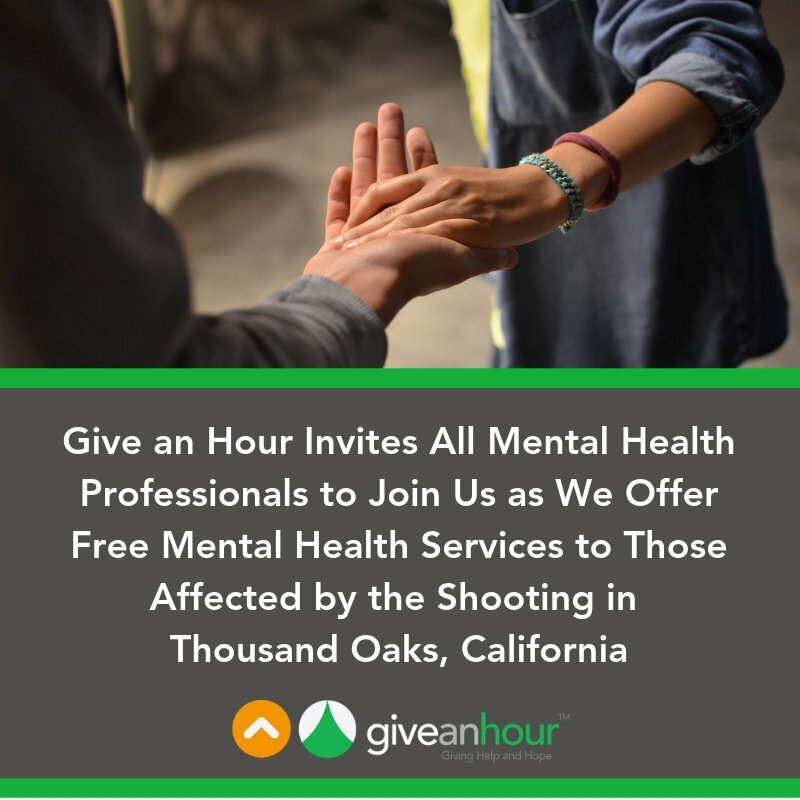 Give an Hour offers an essential option for men and women who might otherwise fail to seek appropriate mental health care. One in five Americans are impacted. 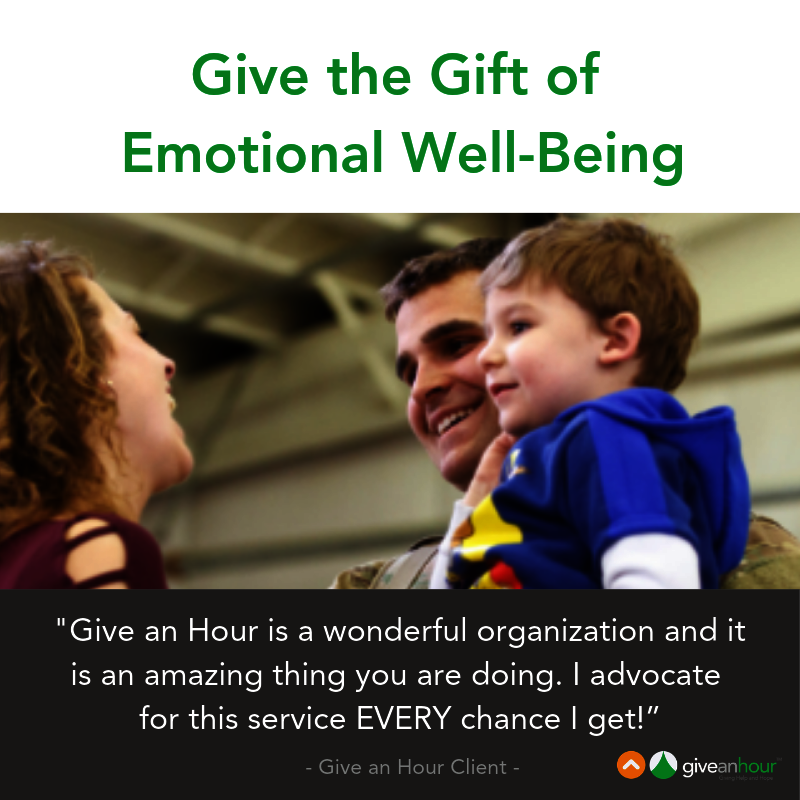 Give an Hour enlists volunteer mental health professionals to donate 1 hour per week to provide free, easily accessible, confidential counseling to military personnel and their loved ones. Studies show that timely attention and counseling can make a huge difference in the success of treating mental health issues such as post-traumatic stress. 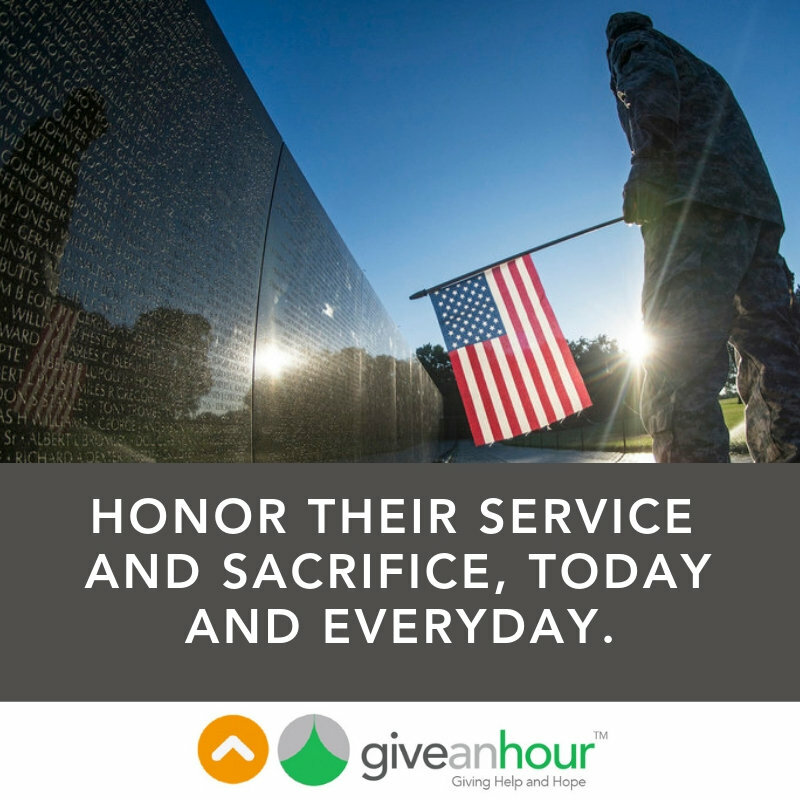 GAH has volunteers enlisted across the U.S., available to many who are not near a VA or military base or who can't/don't want to use VA services. Delivering free counseling to our country's troops and loved ones can potentially help over 3 million Americans, since for each military member deployed, 8 -10 family members are directly affected. Of those deployed, 40%-nearly 800,000-are parents with 1 or more children; almost 35,000 troops have been separated from their children for 4 or more deployments. Many will suffer, and symptoms of post-traumatic stress and depression will cost as much as $6.2 billion in the 2 years after a deployment.